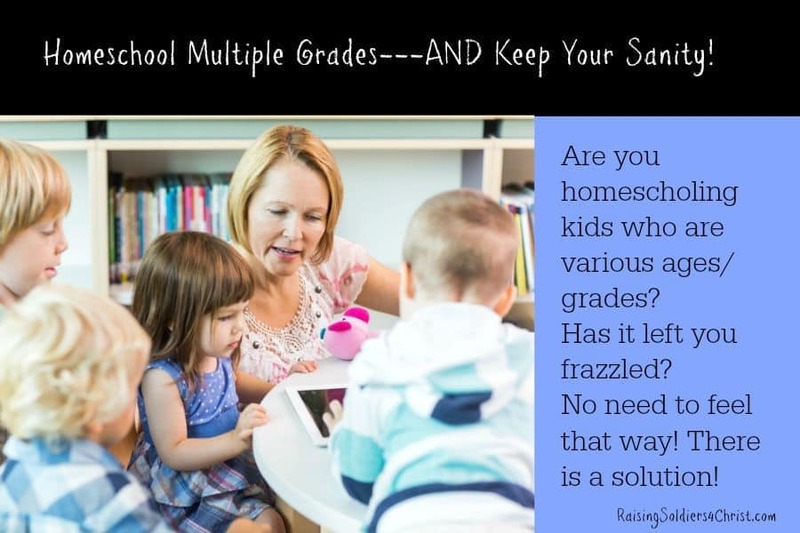 How To Homeschool Multiple Grades And Keep Your Sanity! Recently, a discussion ensued in my church’s homeschool Facebook group concerning homeschooling multiple ages. The thread was written by a church sister who has a background in education. Homeschool is a bit different from public schooling because it allows you so much more flexibility in how you school, i.e. finding the rhyme and dance that works for you and your children. Older students can work with the younger kids which can be a lot of fun and a bonding moment! Older children can work on patience. Let’s face it, being around multiple ages can do that to anyone! Children of all ages are learning in a more real to life scenario because when they leave home and get a job, they won’t report to building B with all the 20-year-olds. They will be working with multiple ages. This type of schooling can be an advantage. Learning together with multiple age groups helps to foster a sense of family. Family projects are so much fun! You don’t miss out on anything they are learning. Finances! This is a HUGE benefit. It is just more cost-effective to combine multiple grades in as many subjects as you can. Those are just a few of the many benefits of homeschooling multiple grades. Now the question is how do you ACTUALLY do that without losing your sanity? Science and History. Science and History are the easiest to combine. There are many programs that you can use to combine kids of multiple ages for both of these subjects. Some of our favorite that we have used are Sonlight, Biblioplan, Mystery of History, Story of the World, Apologia, Answers in God’s Design, Unit Studies, and Literature based studies like Charlotte Mason and Ambleside online. Bible. I also combine Bible together except for their AWANA. The Bible that we use daily here is E3 Challenge which is designed by our church, and also what is included in their History and Science text. Another great Bible resource that we use that combines ages is by Apologia. We generally use that throughout the Summer. Notebooking. This is easy to do and also very easy to make it harder for older kids if you need to do that. All three of my kiddos notebook at the same time. Music. Music is practiced daily in a chunk of time blocked off. All the kids practice at the same time. One may be working on theory while another physically practices piano. Math. Math is also done at the same time even though each child does their own level of math. My oldest works nearly independently on this unless there is a concept that he needs help with. I check it after he is finished. I will be honest, all three of my boys work very independently with math giving me time to walk around to each one and make sure they are grasping the concepts. We have an excellent math curriculum that I adore! Independent Reading. I have a time set aside each day that each child is assigned books. Sometimes the books correlate to what we are studying or are recommended in our curriculum, other times they are books I would just like for them to read. I follow a lot of Charlotte Mason recommendations on reading books. I also use several book lists to decide which books would benefit the kids the most. The books I ask them to read during this time are often not books they would pick on their own, yet they usually enjoy them once they dive in! By doing this, my kids over the years have been able to get a wide education in a variety of subjects! This has helped them out a lot. It also has led them in developing interests they didn’t even know they had. Read-Aloud. Although all of my kids read well above grade level and quite well on their own, I read aloud to all three of my children every single day. My oldest was reading on a college reading level half way through 3rd grade. I believe reading aloud is an important part of any child’s education. When I am selecting a read-aloud, I pick from a wide variety of books. Sometimes it is geared more towards the younger two but my oldest will still enjoy it, while other times it is more geared towards my oldest and my younger two also enjoy it. I have found that by doing this, the younger two will still listen, and you won’t believe what they retain! It is a good trick that has increased my kids’ reading levels, their comprehension, and their vocabulary. I know that this all sounds like it may take all day, but I assure you it doesn’t. Combining subjects saves me about 2 hours at least! I hope the tips I have given help! You can always tweak it to what works for you! I will be sharing more of what we use and do over the next few weeks, so subscribe that way you won’t miss a single post! Great tips! It makes me want to homeschool my children! Great tips, Laura! Thank you for sharing these! 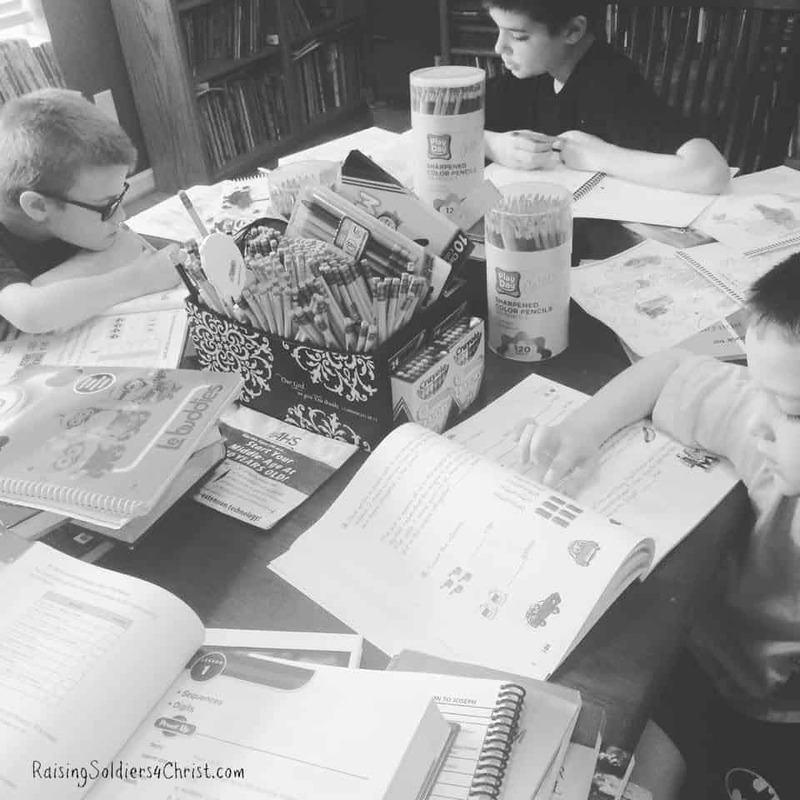 I just added my third child to our homeschool this year and it is always a bit of challenge figuring how to add another learner to the mix and make it all work. It seems like the first few weeks are tough, figuring out what we can combine well and how to meet everyones needs but we always seem to find our rhythm after a few weeks. We’re almost there. 🙂 Wishing you the best as you dive in for another year as well! Great tips! We just started our 7th year homeschooling and have tried to combine subjects whenever possible and have used many of the same curriculum! It is so much easier when the curriculum allows for combining ages. Our favorite was Heart of Dakota. Combining subjects, as you said is so much more fun with multiple benefits, especially the fact that it’s a huge time saver! My boys are now Jr. High and High School and work almost completely independently, but we still try and read together. Sometimes I miss those younger days, but it is so exciting to see some of the skills they’ve learned really blossoming. Some of my favorite and our sweetest memories/moments were combined “lessons”. God bless you! This is great information and very encouraging for those families that really want to homeschool multiple aged children! Great tips! I currently only have one independent reader and one learning to read. The independent reader is very helpful in helping with the youngers. It’s great because she gets extra practice and loves teaching them by sharing her knowledge! Thanks for sharing!